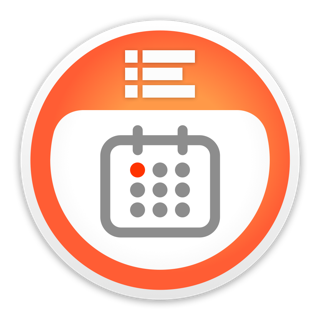 Stater is a system-monitoring application that displays all information in one dock icon and a dock menu. - You can click the dock icon to change view. There are four views total: combined, multi-core CPU usage, memory usage, and drive space (you can turn off any view). - Open the dock menu for detailed information about CPU, memory usage, drive space, and top processes. 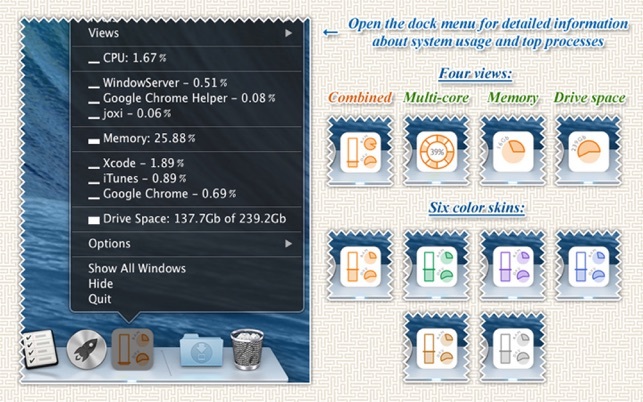 - The dock menu shows the top process icon in multi-core view on high CPU usage. 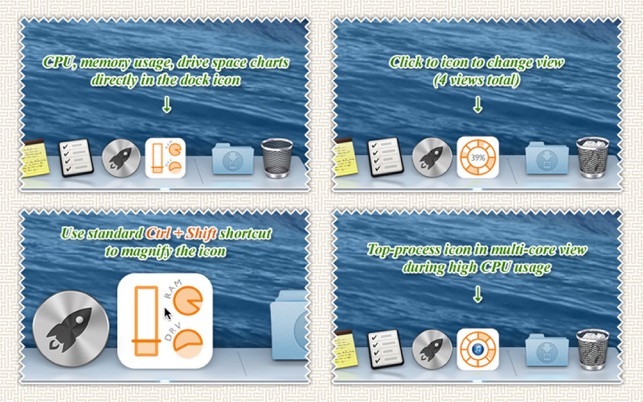 - All settings are shown in the dock menu. - Six color schemes are included. - The application includes no windows, no menu icons, and no redundant information—only what you need for everyday use.